We open for Guns and Roses at three of their stadium shows this summer. June 13th in Munich at the Olympiastadion and June 16th and 17th at the London Olympic Stadium. 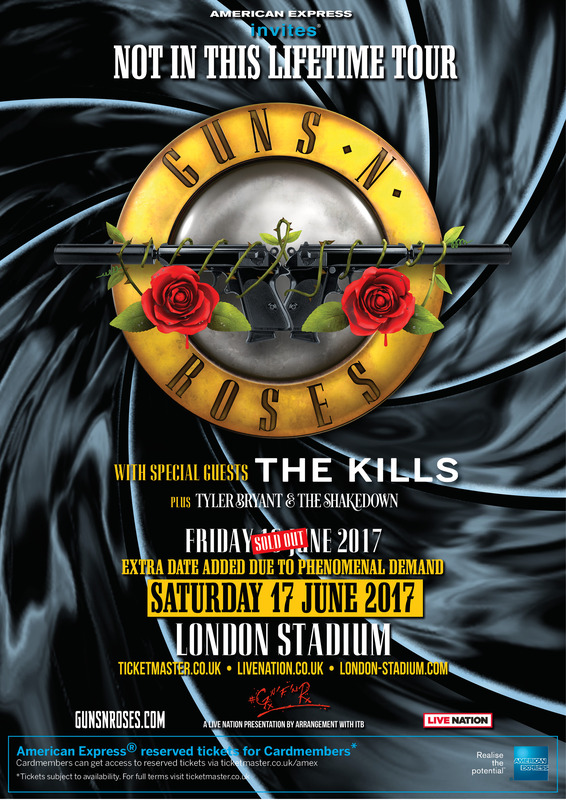 The first show in London is sold out, but tickets for Munich and day two in London from Gun ‘n’ Roses and usual outlets.